Jeff McWilliams Designs unofficially started on Christmas morning in 1976 when Jeff was just 13 years old. For Christmas that year Jeff asked for a bike & he got a scroll saw! After a few quick lessons on the scroll saw from his father (Lesson 1: Keep your fingers away from the saw blade), Jeff began creating and selling small gifts for his friends. This lead to Jeff opening his own gift shop in Athens, GA after high school. His business would continue to evolve over the next two decades and in 1997 Jeff started his second company, JM Original Creations. JM Original Creations was primarily a Custom Tradeshow and Exhibit Design and Fabrication Studio. The goal of JM Original Creations was to meet the increasing demand for versatile Tradeshow Exhibits. Jeff would take his designs a step further 7 years later as clients extended opportunities to design products. On April 1, 2004 JM Original Creations became Jeff McWilliams Designs. JMD is a full service design resource company that specializes in the creation and development of creative products for the Craft, Gift, and Home Furnishing Industries. Jeff McWilliams has always been a thinker. For as long as he can remember, he has been dreaming, designing, and creating. The very thing that got him in trouble as a child, daydreaming in school, is now how he makes his living. 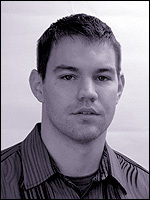 Today, Jeff's focus is on creating fresh designs for a variety of products for various industries. Jeff McWilliams is an active member of the Color Marketing Group, an international not-for-profit Association of 1,000 Color Designers who forecast colors and trends for all industries, manufactured products and services. 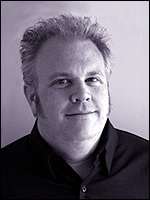 Patrick grew up in Upstate New York before moving to Atlanta in 2001 to join the JMD creative team. He graduted from Syracuse Universtity in 1999 with a BFA.